When Mount St. Helens erupted in 1980, the world saw nature flexing its mighty muscles, spewing lava and danger in every direction. It wasn’t until after the eruption that man discovered the destructive contents of the volcano could be turned into something beautiful— a glowing green stone known as helenite. 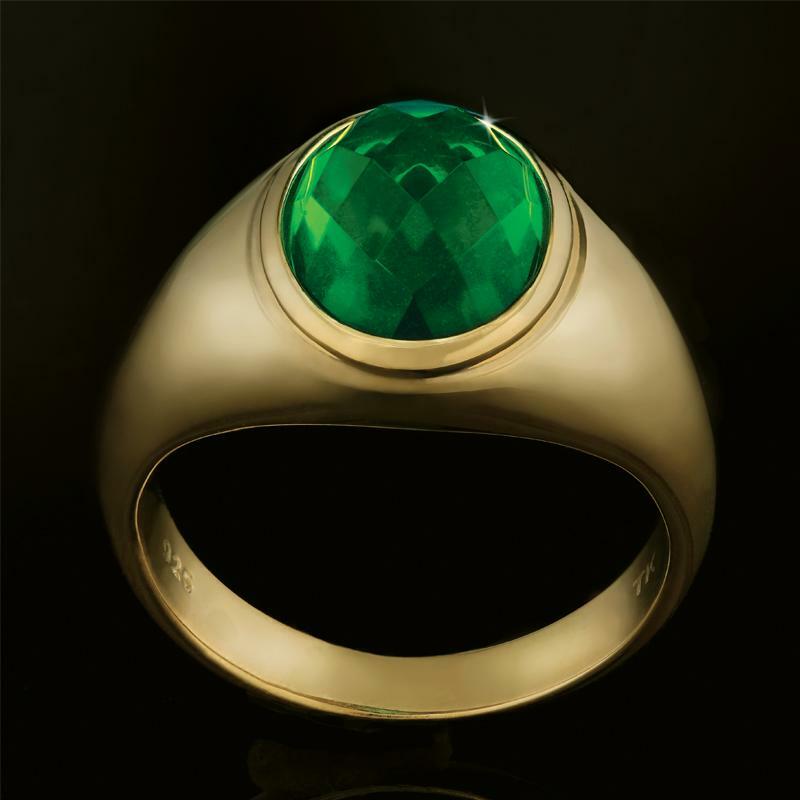 The Men’s Volcanic Helenite Ring lets you subdue the mighty power of that volcano and slip it onto your finger, with a full two carats of volcanic material captured and converted into the green stone helenite and set in gold-finished sterling silver. The result is impressive both for the power it contains and for the ingenuity required to get it there. We appreciate that the raw natural strength of helenite may be too much for some men to handle, but those up the challenge can experience the Men’s Volcanic Helenite Ring.